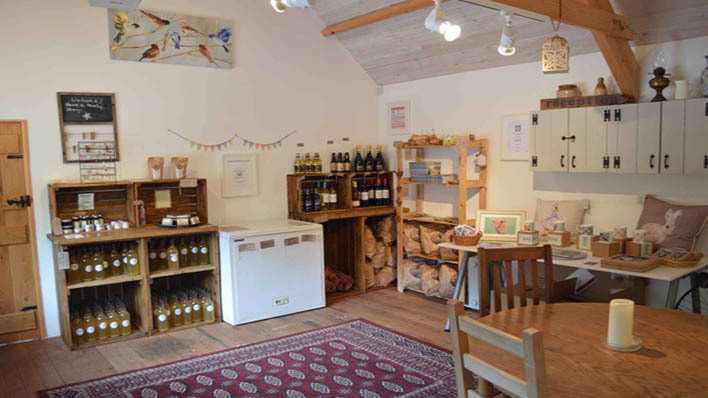 Visit Our Shop: Selling a small selection of locally sourced items, our micro shop sells Prosecco, wine & cider, BBQ charcoal made in Devon, eco fire lighters, additional baskets of wood, soap, Aromatika & Holistix beauty products, frozen meals from Thorne’s Farm Shop, coffee freshly roasted and ground from Crediton Coffee Company, ice, pizza, some local art and a few other items. 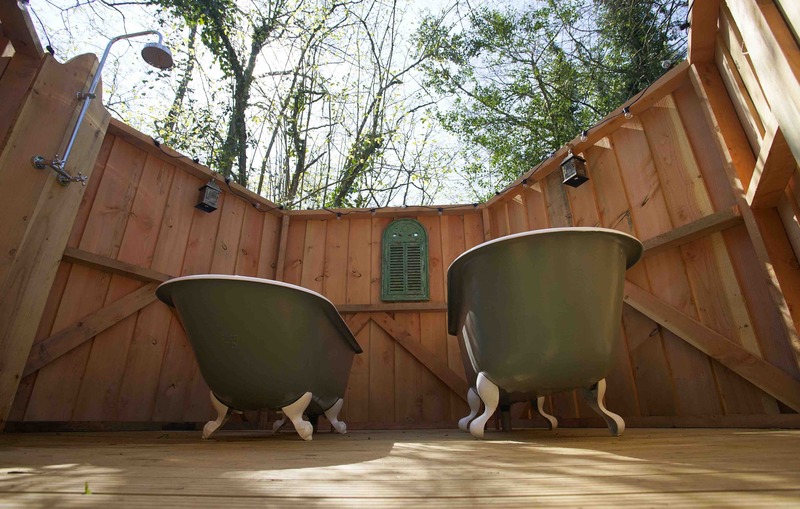 Experience The Hidden Tubhouse: Have a refreshing shower, bath the children or have a romantic soak side by side in our outdoor bathroom, with two traditional cast iron baths and a shower. 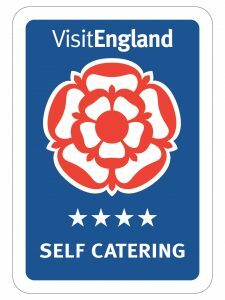 The tubhouse is free for all guests to use, our only request is that you use earth friendly products at all times (supplied in our shop if your forget your own) and be mindful of other guests who may be waiting their turn. 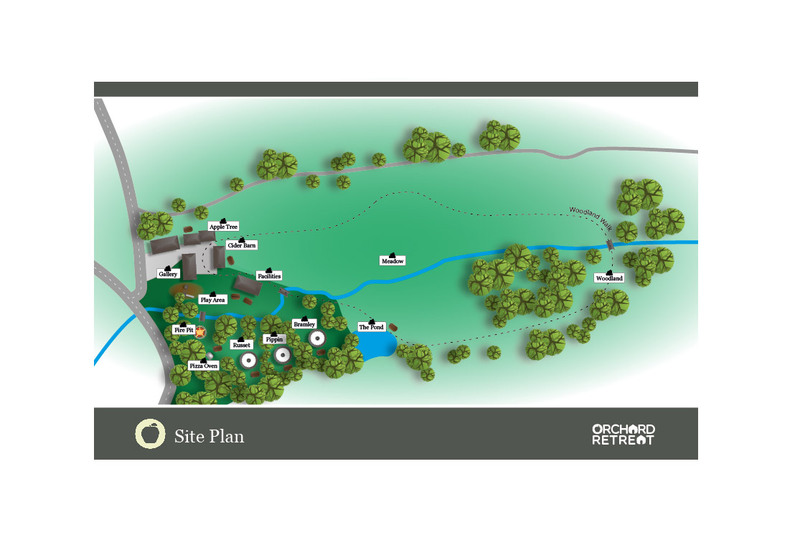 Nestled in a small wooded area near The Facilities Lodge, take in the view of the sky and trees, listen to the gentle babbling of the nearby stream and relax. 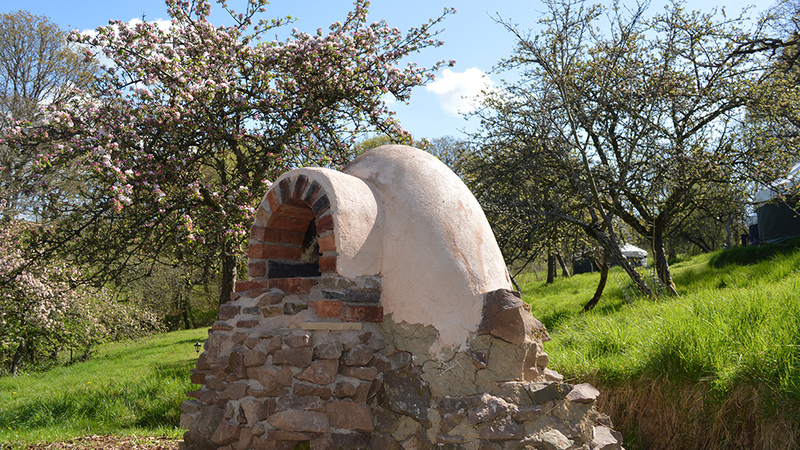 Hire The Pizza Oven: Why not hire our lovely hand built cob pizza oven during your stay. To hire the pizza oven costs £10 and includes a basket of wood, pizza paddle and detailed instructions on how to use it. 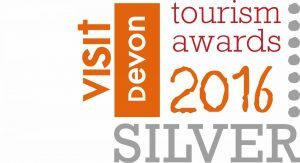 Please book a slot on arrival or when confirming your booking. You can buy pizzas from our shop. 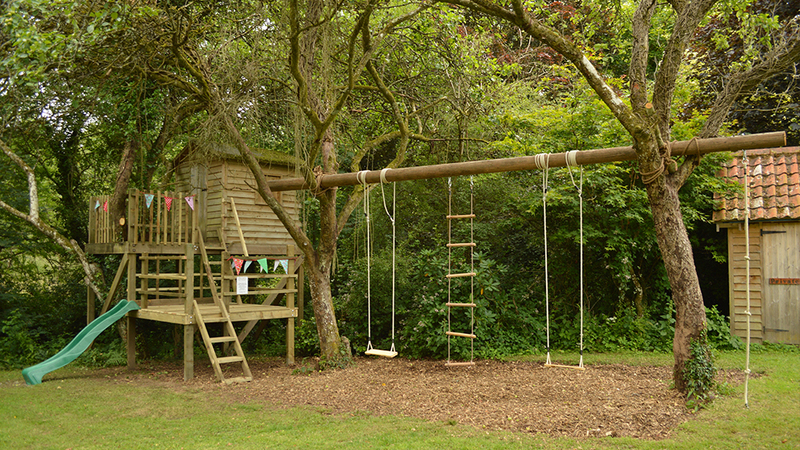 Let The Kids Run Free: Enjoy our treehouse, with chalk boards, slide, swings & climbing rope. Play hide and seek in the woods or Pooh Sticks in the stream and go on a nature walk across our land. With 15 beautiful acres there is plenty to entertain you and we hope you’ll enjoy it as much as we do! 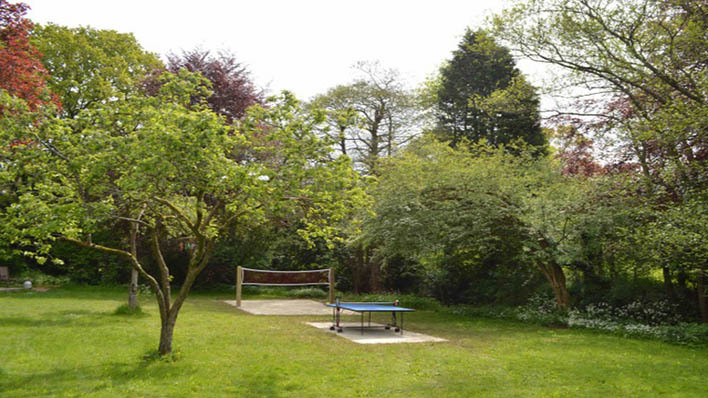 We also have an outdoor table tennis table & badminton court as well as other outdoor games. 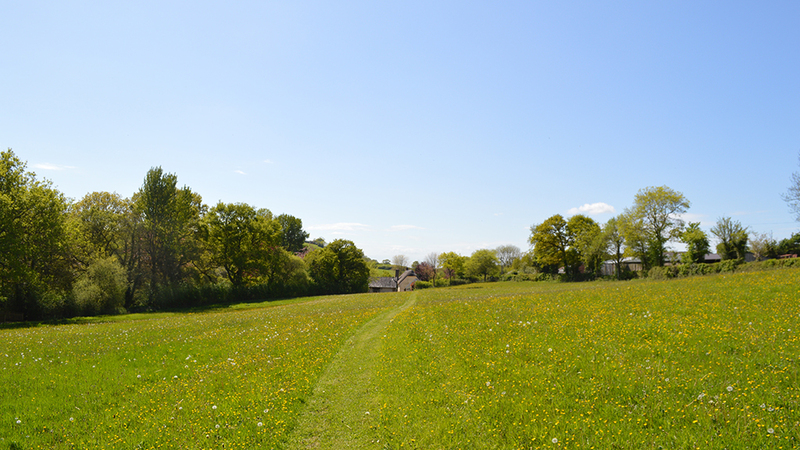 Meadowtate: Take a picnic to our idyllic wild meadow and relax, unwind and rejuvenate in our beautiful unspoiled surroundings. 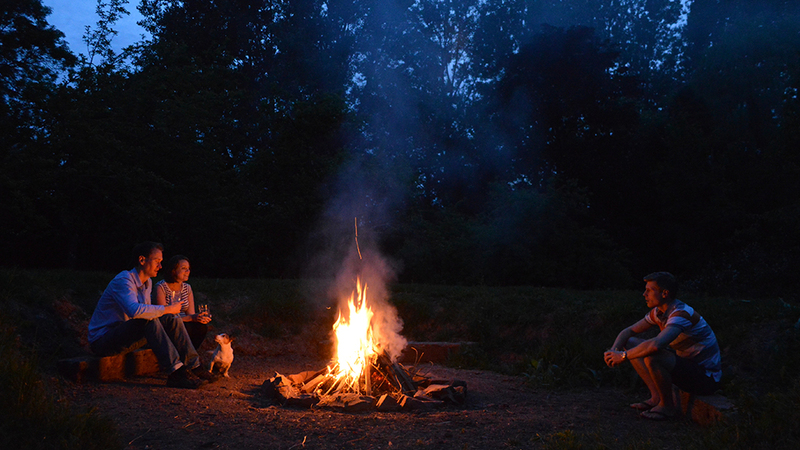 Hang Out Under The Stars: Light the fire pit, toast marshmallows, meet new friends or gather with old. Snooze In The Hammock: Slung between two of our apple trees, perfect for reading or snoozing and big enough for two. Mingle In The Gallery: With WiFi for our yurt guests (the cottages have their own) make use of The Gallery – a communal space for all guests, with games (indoor & outdoor), books & plenty of seating. 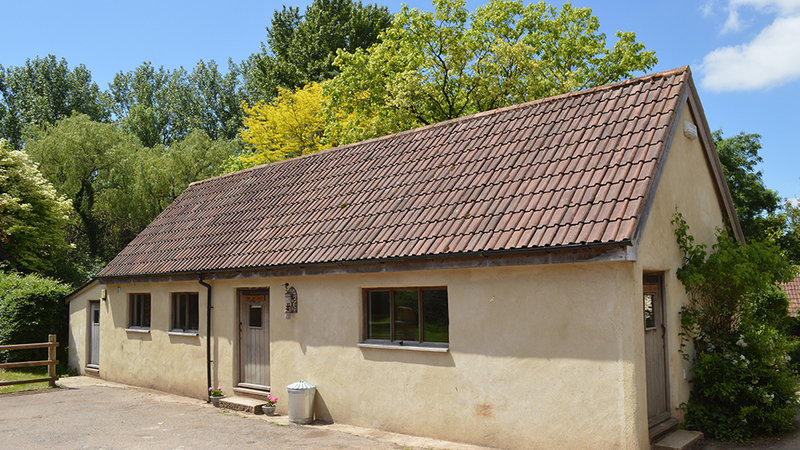 You will also find the laundry room, washing is charged at £3 per wash and dry, which includes washing powder. The Gallery also plays host to our Supper Club & may sometimes be hired exclusively for a wonderful group brunch or dinner.